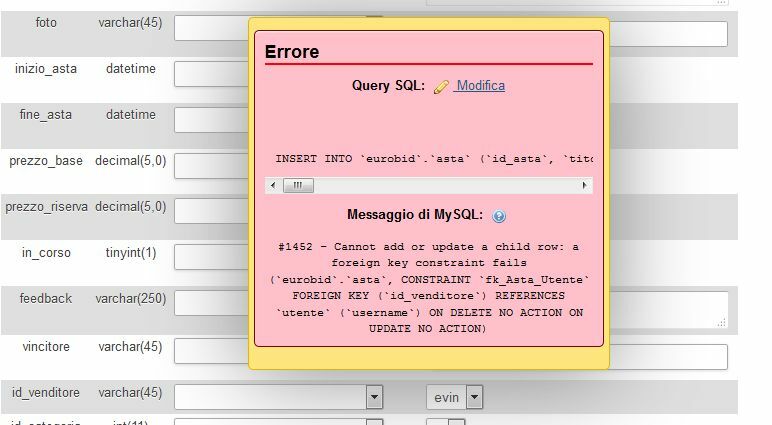 I have been working on MySQL and have come across the error #1452. *I have a problem with the table asta and utente. you're creating a table named Asta whilst trying to insert into asta. I'm not used to MySQL but I think it's case sensitive. there may be other typos, but that's one of them, anyway. Typo's can be the cause.